In recent weeks I have received many questions about the Anterior Growth Guidance Appliance (AGGA). I have compiled my responses here for all to see. Many of the questions below were prompted by the following GIF which I posted a few weeks back, showing significant changes that have occurred in my first 16 weeks of treatment with the AGGA. What is the Anterior Growth Guidance Appliance (AGGA)? Does it go by any other names? Your blog says that the AGGA "deposits bone in the maxilla, mandible and other parts of the face.” What are the"other parts?" What are the potential side effects of AGGA? What are the phases of treatment? How long is each phase? Who is your provider? Does Dr. Kundel get your vote of confidence? How can I find a provider of AGGA? How do you know AGGA is creating bone growth and isn't just shifting teeth? What changes have you noticed since beginning treatment? Have you noticed anything regarding the feeling of your lips, your lip seal, etc.? Did you take x-rays (such as a lateral cephalogram) prior to treatment? Will you take new images upon the completion of treatment and compare the two? Why does it look like you've lost your neck curve? Isn't the curve in your "before" picture healthier? Is the AGGA by itself enough to solve all of craniofacial and postural problems? What tongue exercises do you recommend? What about hard gum chewing? In your “after” photos it looks like your face has lengthened and your chin has dropped down and back and is more recessed than before. Will the bite plates be removed at some point? What's the cost of this treatment? Wow, that’s expensive! Guess I might have to stick to just orofacial myofunctional exercises. Is it better to do myofunctional therapy before being treated with the AGGA? Did you have any treatment before using the AGGA? 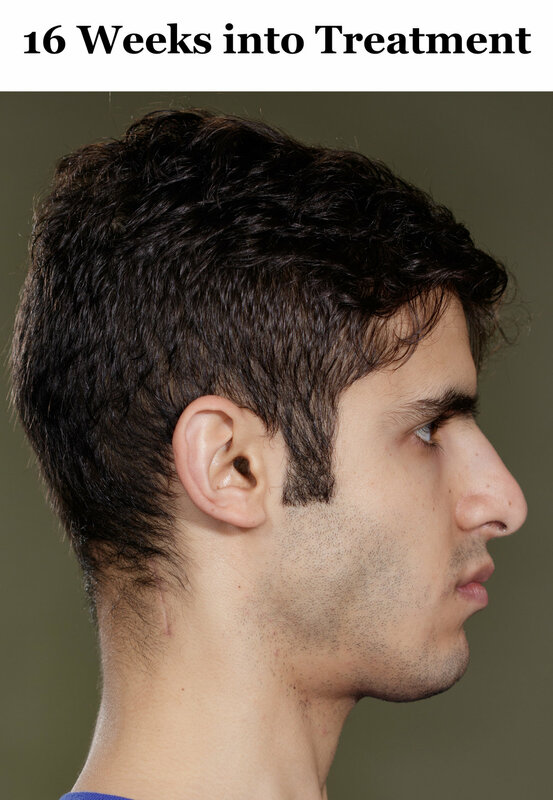 What's with the scar on your neck in the “after” photos? Did you have surgery recently? How does AGGA compare to ALF? Do you have cranial strains/distortions? Can this device help to fix asymmetry and cranial distortion? Can you expand just one side and not so much the other? My nasal airway feels restricted. Would AGGA help? Have you noticed any nasal breathing changes? 1. What is the Anterior Growth Guidance Appliance? Does it go by any other names? It's basically a palatal expansion device, although it expands more than the palate. It’s more accurately described as a “growth appliance” because it creates bone growth throughout the entire face. It is referred to as the Anterior Growth Guidance Appliance (AGGA), Fixed Anterior Growth Guidance Appliance (FAGGA), Controlled Arch Orthodontics or more generally as a "growth appliance." The term "growth appliance" may also refer to the ALF or other orthodontic appliances which stimulate bone growth. A photo of my AGGA just before it was installed in November 2017. 2. Your blog says that the AGGA "deposits bone in the maxilla, mandible and other parts of the face.” What are the"other parts?" According to Dr. Kundel the appliance "reshapes" the mandible by depositing bone at the back of the mandible and triggering bone resorption at its bottom. This creates a more horizontal rather than vertical lower jaw which I believe there is evidence of in the GIF above. He has said that bone growth occurs throughout the entire face but I have not asked him for specific details. I will hold off on commenting further because the truth is I don't know. I'm really not an expert on the science of the AGGA. My real expertise is in my own experience using it. 3. What are the potential side effects of AGGA? So far I have experienced absolutely zero negative side effects from the Anterior Growth Guidance Appliance besides occasionally cutting my cheeks on the metal wire. This is in contrast to my prior experience with acrylic Sagittal expanders which wreaked havoc on my gums and teeth. I think in a year from now I’ll have a much better sense of what the potential side effects of AGGA really are. For now, nothing. 4. What are the phases of treatment? How long is each phase? 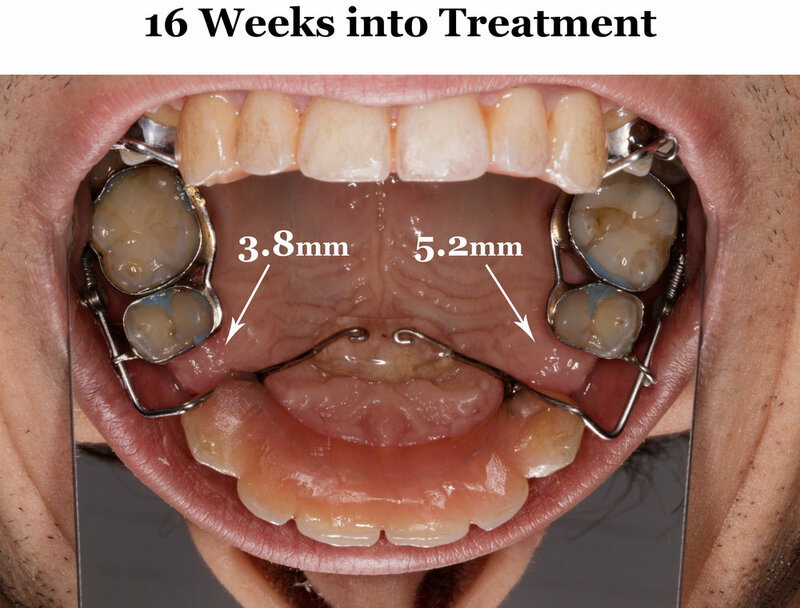 There are 2 phases of treatment: 1) the growth/expansion phase followed by 2) the "controlled arch braces" phase. 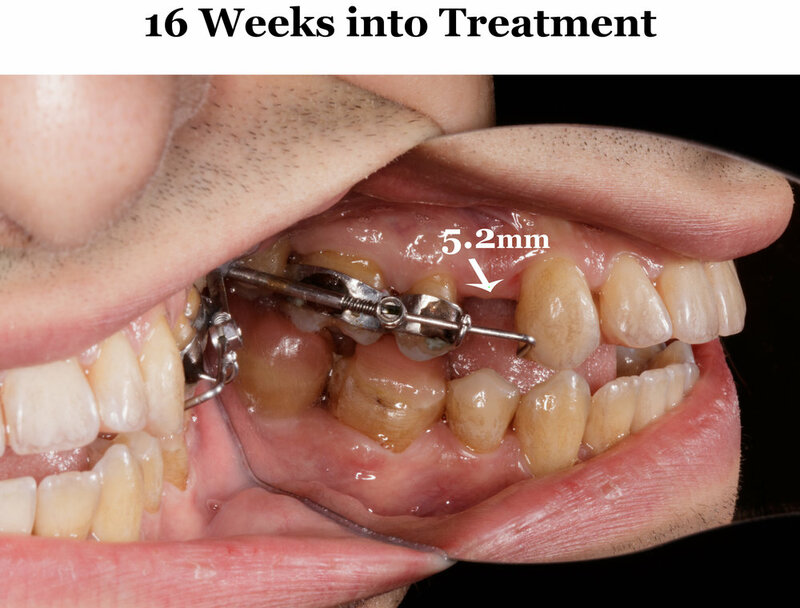 Dr. Kundel initially estimated 1 year of growth/expansion followed by several months of "controlled arch" braces which will finalize the occlusion. These are just estimates because it is hard to predict how an individual’s body will respond to the AGGA. Some people expand much faster than others. I don’t know why. Dr. Kundel tells me that I am on the faster end of the spectrum. I suspect this may have to do with my intensive myofunctional training but I don't know for sure. My current device has about 5mm of expansion left before it bottoms out. If I need more than 5 more millimeters of expansion a second device will be fitted and installed. Ultimately what will happen is that Dr. Kundel will make a judgement call that the appropriate amount of forward expansion has been achieved. Then we will stop. Dr. Kundel said AGGA will keep on expanding indefinitely as long as it's in. So it will be on us to pull the plug when the time is right. 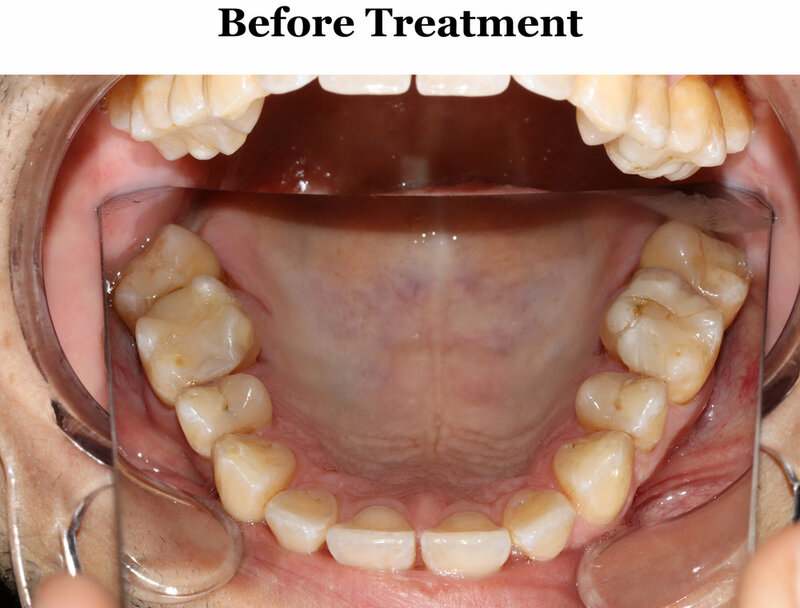 Then we move on to the "controlled arch braces" phase of treatment. Expansion will leave me with imperfect occlusion and with large gaps between my upper premolars as seen in these photos. I will have the option to either fill or not fill the gaps with implants. If I choose not to do implants, Dr. Kundel is just going to move the rear teeth forward to close the gaps. Although much more expensive, I would prefer to go with the implants because I feel like they will act as placeholders for the new bone that has been added to the maxilla. Implants would probably reduce the duration of the braces phase of treatment because the teeth will not need to be moved as much. Either way, braces will be used to bring my teeth into proper occlusion thus finishing off my treatment. Dr. Kundel tells me that the controlled arch braces, in addition to moving the teeth into their final position, will widen my palate. This would be good because the growth appliance itself seems to be making my palate longer but not really wider, although I have not taken any width measurements to know for sure. 5. Who is your provider? Does Dr. Kundel get your vote of confidence? My provider is Dr. Leonard Kundel. He has an office in Stamford, CT and one in Manhattan. Dr. Kundel absolutely gets my vote of confidence. I can vouch for him based on my experience as his patient even prior to AGGA treatment. The first time I ever talked to Dr. Kundel back in March 2017 I was wearing acrylic Sagittal appliances. I asked him to do my tongue tie release. He told me he wouldn't do it until the plastic was out of my mouth and I had trained with an orofacial myofunctional therapist. Both great calls. He set me up with one of the most amazing healers I have ever encountered, a myofunctional therapist named Kathy Winslow. She blew my mind every time we Skyped. If it wasn't for her, I wouldn't have ultimately ditched the acrylic for AGGA. This was an amazing referral. Kathy also turned me on to the work of Dr. Bronson, who is a master of the ALF. Check out his website for some amazing literature on the ALF appliance which I suppose can be thought of as a sister appliance to the AGGA. AGGA definitely seems to be the better device for treating adults, though. That June Dr. Kundel absolutely nailed my tongue-tie release. It was perfectly symmetrical and has healed without issue. When my Sagittal appliances began destroying my mouth Dr. Kundel saved the day with the miraculous AGGA. It's not the case that I discovered AGGA on my own then looked for a practitioner and found Dr. Kundel. No. I was already a patient of Dr. Kundel and he told me about AGGA. I wouldn't know about it if it weren't for him. And where would I be right now without AGGA? Lost in a dark wood, like so many other adults seeking facial growth. In my case everything Dr. Kundel touches turns to gold. Every call he has made has been dead-on. If I had been his patient since day one I would have saved years of time and thousands of dollars. I think the kicker is that he himself is using a AGGA. He obviously believes in it. And because he is wearing one, he is learning its ins and outs from a patient's perspective. Dr. Kundel and I showing off our AGGAs! Bottom line is: he is not a 1-dimensional dentist. He understands the body. He understands the complex interplay of jaws, airway, tongue, posture, TMJ, headache pain, etc. He is a true healer. If, as a patient, you are going to ride the cutting edge of a new-on-the-scene appliance like the AGGA then you want to do it with someone who has sufficient deep understanding of all the different pieces involved. And someone who has Mew-like vision of what the final outcome should look like. And someone who has faith in and enthusiasm for the appliance. Dr. Kundel is all of the above. 6. How can I find a provider of AGGA? The best way to find a provider is through the LVI website (thanks to MigraineHacks visitor Leigh Peterson for this tip). The Las Vegas Institute (LVI) is a continuing education center for dentists which teaches the use of this appliance. You’ll want to filter search results to show only dentists who have been trained in the Anterior Growth Guidance Appliance. Such dentists should have taken at least the course called Full Face Orthodontics “F2O” Physiologic Orthodontics. At this link I have set the LVI dentist search filter to show only dentists who have completed this training. Now use the map at that link to find a dentist near you and give them a call to ask if they offer this treatment. The red pins indicate potential AGGA providers in the U.S. and Canada. This is great news! You'll need a provider within driving distance because AGGA needs to be adjusted every 4 weeks. Forward expansion is followed by "controlled arch" braces which also need to be adjusted regularly. 7. How do you know AGGA is creating bone growth and isn't just shifting teeth? There are two possible explanations for the spaces being created between my teeth. 2) Forward Bone Growth - That forward maxillary bone growth is occurring, i.e. the front teeth are actually moving forward in relation to the nose and the rest of the face without the rear teeth moving backward at all. You can't even really feel the AGGA's little stimulus knob. Firm, acrylic expanders would be better tools for an attempted prying of the teeth apart. Second, IF the front and rear teeth were to be wedged apart, we absolutely would not see the effect shown in the above photos. The rear teeth would never shift backward if being pried against the front teeth. The rear teeth have much more robust root structure compared to the front. What we would see if wedging were occurring is flaring of the front teeth. Those teeth would pivot in their sockets, which is what occurred during my 7 months of treatment with acrylic Sagittal appliances. This is what happens when you press against teeth with mechanical force. What flaring teeth look like. 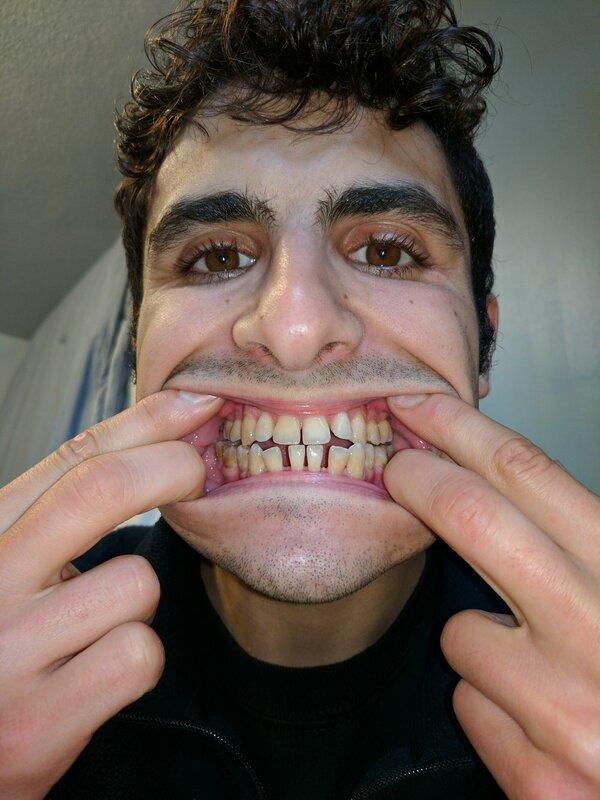 Teeth flaring caused by acrylic appliances. This is very painful and makes chewing extremely difficult. I know this feeling. It is not occurring with AGGA. 8. What changes have you noticed since beginning treatment? Have you noticed anything regarding the feeling of your lips, your lip seal, etc.? Biggest change is tongue posture. Wow, how amazing it is for the tongue to finally fit in the mouth. My tongue posture strengthens my neck. I can actually perform strenuous physical activity now without my neck feeling flimsy. I've been running, hitting the heavy bag, lifting weights, working longer on the computer. All without neck pain! People have officially starting telling me that I look different. Talking has become easier with all the extra space in my mouth. Voice seems different. I never noticed a lack of lip seal. I never had an issue with mouth breathing while awake (because I've been training myself to nasal breath for 3+ years now). The big change I'm waiting for is the ability to sleep on my back without having sleep apnea or snoring. This is the holy grail. Hasn't happened yet. Still sleeping on my side because tongue falls into throat otherwise. 9. Did you take x-rays (such as a lateral cephalogram) prior to treatment? Will you take new images upon the completion of treatment and compare the two to see if change to your underlying bone structure has occurred? I had a cone beam x-ray done with Dr. Kundel before treatment began. Another will be taken after. I will definitely make these available later on. But I think Dr. John Mew makes a fair point when he argues that these x-rays may not be so useful in determining whether or not bone growth has occured. 10. Why does it look like you've lost your neck curve? Isn't the curve in your "before" picture healthier? Dr. Mandell who makes daily videos on posture says there should always be a curve in the neck and that a straight, “military” neck is not good. Theories on "what is proper posture" are a dime a dozen. There are many different opinions on this question. I can cite a health professional, Esther Gokhale, who's "primal posture" theory advocates a neck posture that is ram-rod straight. 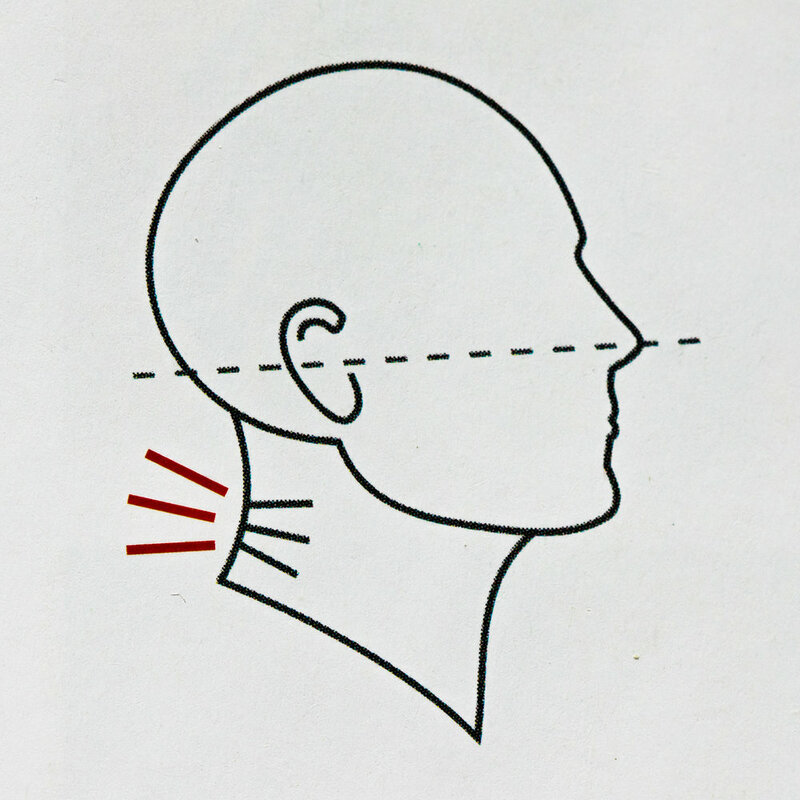 The traditional peoples whom she observed who maintain such a neck posture have a rate of neck and back pain that approaches zero. In my case, I have not arbitrarily chosen anyone's posture theory and defended it as being right or wrong. I lived for many years with chronic headaches that were emanating from my neck. I became very sensitive to this part of my body. Any little disturbance to this area would set me off. So I had to become zealous about finding a posture that would protect this area during strenuous activity, which, in my opinion is the ultimate test of what makes a posture good or bad. Does the posture work? Does it make me more or less functional? Does it lead to well being or pain? These are the questions I have used to hone in on what I consider to be good neck posture. And what I discovered is that the best neck posture is mostly just a byproduct of proper tongue posture. When I press the middle and front of my tongue firmly onto the roof of my mouth my neck becomes strong and sturdy and can endure a huge amount of work without any injury or sense of flimsiness. And when I focus on tongue posture it just so happens that my neck ends up with the slight curvature you see in the "after" photo above. In that photo I am not being hyper-conscious of my neck. All I am doing is focusing on proper tongue posture. In my case I end up with slightly more curvature than Gokhale advocates but much less than a traditional Western medical textbook would promote. What matters to me is that it feels right and yields good results. 11. Is the AGGA by itself enough to solve all of craniofacial and postural problems? You cannot count on an appliance to do all the work of facial redevelopment. I think of the AGGA as a catalyst, not as a cure in and of itself. I see it as an admission ticket into the cycle of healthy interplay between tongue, jaws, airway and the rest of the craniofacial complex. As long as my tongue was imprisoned in my undersized jaws it was never able to press and spread into my palate with good leverage. Believe me, I tried. It was like a tall boxer whose long reach is neutralized by an ever-advancing shorter opponent. As long as the shorter boxer stays close to his opponent, the taller fighter will be unable to generate punches with any real power. Similarly when the tongue is smothered by small jaws it cannot extend and press with maximum force. The AGGA is providing my tongue with enough elbow room to extend and press with such force. Only once this is achieved can the tongue serve its primordial role as a natural palate expander. I am zealously developing tongue and neck strength alongside treatment with AGGA. 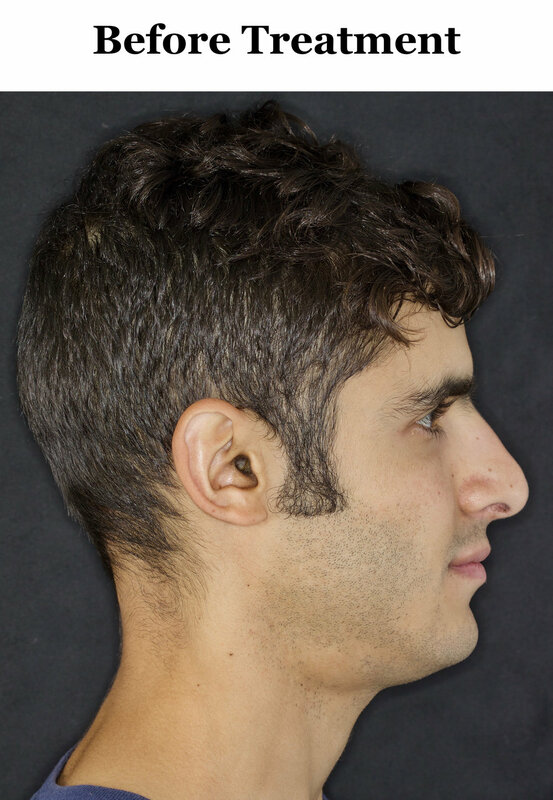 Not only do I expect to be able to maintain any growth achieved with the appliance after it is removed–I hope and expect for continued craniofacial improvement caused by proper tongue posture for years to come. 12. What tongue exercises do you recommend? What about hard gum chewing? GUM CHEWING: Actually I don't do hard gum chewing. Why? Because during palatal expansion teeth are moving and occlusion is always changing. This leads to the cusps of the teeth meeting in non-ideal ways during certain stretches of treatment. Chewing excessively hard foods can cause teeth to break at these times, which is what happened to me while chewing mastic gum in 2017 on the tail end of my treatment with acrylic Saggital appliances. Excessively hard foods can also break the appliance itself, which is a costly PITA. This also happened to me during my very first month with acrylic appliances February 2017. I had to rush to a local dentist, have a mold made and express mail it to my Colorado orthodontist so he could make me a new appliance. What a nightmare. Bottom line is that a lot of us are running around with teeth patched up with fillings that are ridden with little micro-cracks from the dentist's drill, and hard gum chewing can be a risky proposition if that's the case. I have definitely established a lifestyle of eating food that requires chewing – lots of fresh leafy greens, nuts, and high quality meat. These are the staples of my diet. But I have done zero gum chewing since August when I chipped my tooth. OTHER EXERCISES: I spend 2 hours in the car 4 days a week. I mostly take advantage of this time to do dedicated tongue and neck exercises. First off, just practicing to press the tongue into the maxilla until the tongue becomes exhausted is a great exercise. Experimenting with this is the best way to learn about your own craniofacial situation. Currently my favorite tongue exercise is to take a 1.5lb wrist weight and pull a handkerchief through it. Then I place the ends of the handkerchief into my mouth and hold the weight by pressing the handkerchief into my maxilla using my tongue. I will do this for a few minutes at a time while driving, then take a break, then do a few more minutes. On and off for the whole drive. This exercise has been a game changer. I also attach a handkerchief to a wall-mounted elastic exercise band, hold the handkerchief by pressing it between my tongue and palate, and then do various neck twists or just move my body back so that there is tension on the band, and then hold posture for as long as I can. Got to be careful not to break the appliance while doing this though. I hope this doesn't sound insane. It was heavyweight boxer Joshua Anthony's idea! 13. In your “after” photos it looks like your face has lengthened and your chin has dropped down and back and is more recessed than before. My face looks longer because of the 3-4mm thick bite plates built onto my lower teeth. The purpose of the bite plates is to allow occlusion to occur while the mandible slides forward as the maxilla grows forward. They basically just flatten my lower molars and provide a neutral biting surface. 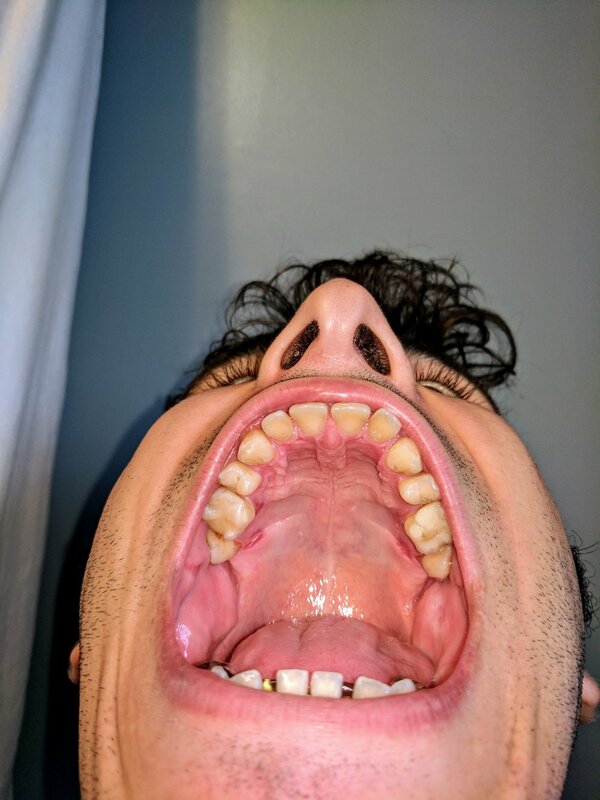 The bite plates are the pink acrylic buildups on my lower molars you see in the photo below. Due to the bite plates my mouth doesn't close together any further than you see in the photo. This explains the added face length you see in the "after" photo. See the space between my teeth in the photo below? 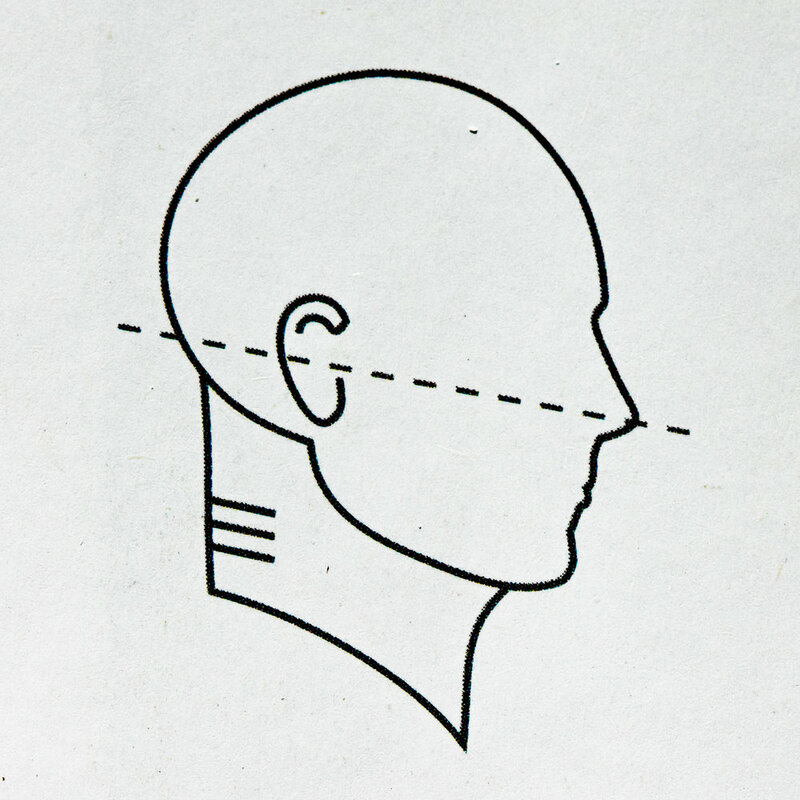 That's the amount of artificial facial length caused by the bite plates. The thick bite plates glued onto my molars artificially lengthen my face by several millimeters. About my chin dropping back: it's true that in the "after" photo, my chin is not as far forward in absolute space as in the "before" photo. But this is only because my neck posture has changed. My neck has become elongated and as a result my chin is slightly tucked. Anyone can make their chin stick out further just by compressing their neck. Try this experiment: rotate your head as if you were looking up to the sky and watch what happens to your chin. You will see that your chin comes farther forward in space. What matters is the position of the mandible while maintaining proper neck posture. 14. Will the bite plates be removed at some point? The bite plates discussed in the previous question are temporary. As mentioned above their whole purpose is to make occlusion possible while the mandible slides forward as it repositions itself in relation to the forward-growing maxilla. 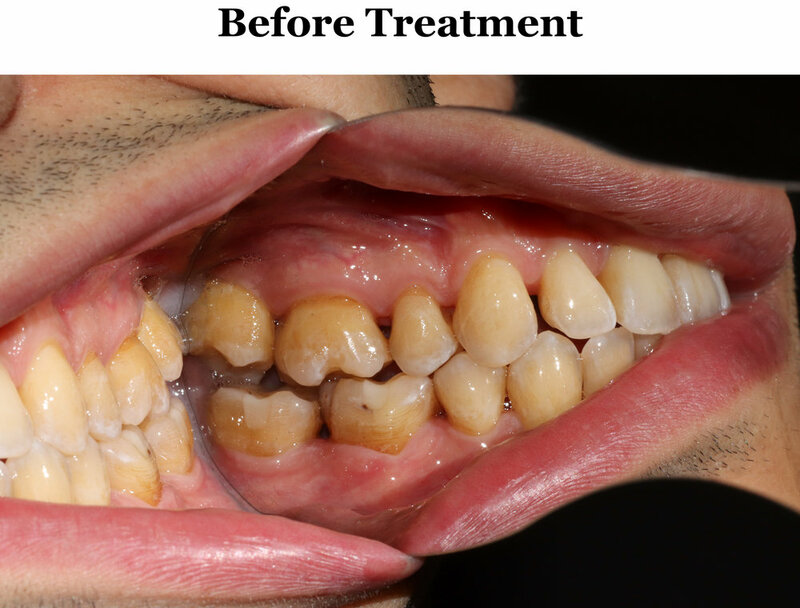 They will be removed prior to the braces phase of treatment. 15. What's the cost of this treatment? I'm paying $15,000. I paid $3000 up front and pay $500 a month until it's done. Dr. Kundel is probably on the pricy side. He pays for Manhattan office space. Perhaps others are cheaper. This covers the cost of AGGA plus braces. Special "controlled arch" braces are used once expansion is done in order to put the finishing touches on occlusion. If I decide to fill spaces with implants instead of just moving the rear teeth forward with braces then the cost of the implants will be separate. 16. Wow, that’s expensive! Guess I might have to stick to orofacial myofunctional exercises. If you do not have sufficient space in your mouth myofunctional therapy will always be limited in its effect. Without enough space certain tongue exercises and postures are straight up impossible. Last year I did 2 months of weekly formal myofunctional therapy with the fantastic Kathy Winslow. I gave it my all. But I could not make it habit because I just didn't have enough space for my tongue to perform its natural movements. I found the exercises to be quite unpleasant. They felt forced and unsustainable. Now that I have more space for my tongue myofunctional exercises have become pleasant, more effortless, and more natural (although I have significantly more growth to achieve before my structure is genetically optimal). 17. Is it better to do myofunctional therapy before being treated with the AGGA? Palatal expansion will compliment and enhance any myofunctional therapy or posture work that you do. For example a big enough mouth will be necessary in order to achieve proper tongue posture. If your mouth isn't large enough, you will not be able to paste the posterior (back) part of your tongue on the roof of your mouth without the tip coming through your front teeth. As I discussed in a recent post you can't have good neck posture without good tongue posture. Something about pasting the entire surface area of the tongue on the maxilla elongates, solidifies and protects the neck. This is just one example of how expansion and posture work go hand in hand. I'm hard pressed to think of any situation in which it would be wise to put off expansion until later. It’s best to get maximum tongue space as early as possible in treatment. 18. Did you have any treatment before using the AGGA? I attempted to expand using more traditional acrylic Sagittal appliances from January - June 2017. It failed. Also, I had migraine surgery in December 2017. Before that, I could hardly exercise my neck at all without waking up with a severe headache the next day. Now I can exercise my neck without fear. I do tongue and neck exercises daily. This has helped a lot with neck posture and treatment in general. My gut tells me that this training has also contributed to my faster-than-average growth rate with AGGA. 19. What's with the scar on your neck in the “after” photos? Did you have surgery recently? I had migraine nerve decompression surgery in December 2017. It was a huge success. Learn more about that here. 20. How does AGGA compare to ALF? They are both "growth" appliances. They both use physiological rather than mechanical force to create palatal expansion. That is, they both trigger the body to deposit bone in the face by gently stimulating the soft tissue of the maxilla. I see them as sister appliances. But I think there's no doubt the AGGA is a superior device for adults. Dr. Kundel, who also offers the ALF, told me that it would take as much as "10 years" for the ALF to accomplish the amount of growth that AGGA can achieve in 1 year. This is why he is treating himself with AGGA and not ALF. I would never underestimate the power of the ALF, though, especially when deployed by a master like Dr. Bronson. But for adults the AGGA just can't be beat in terms of predictability and rate of expansion. 21. Do you have cranial strains/distortions? Can this device help to fix asymmetry and cranial distortion? I’ve seen 2 different osteopaths in the last year for a total of over 10 visits. Neither ever mentioned cranial distortions. I do not know if the AGGA could fix such distortions. I do know that it creates genetically desirable bone growth 3 dimensionally throughout the face. So if cranial distortions are caused by poor tongue posture and resulting abnormal craniofacial development, it would probably help. At the very least, it would provide more space for the tongue to assume proper posture, and proper tongue posture would definitely help any cranial strains/distortions (the tongue is very powerful, and proper tongue posture is very desirable by the body. I cannot emphasize this enough). 22. Can you expand just one side and not so much the other? No. The appliance is installed so the little oval-shaped plastic piece provides a gentle stimulus to a specific spot in the maxilla (see #7 above). The body takes over from there. In my case, the left side is expanding faster than the right. Recently I asked Dr. Kundel if this might be caused by asymmetric installation of the device. He said that almost every patient has one gap grow bigger than the other. Apparently this occurs because there is some kind of pre-existing asymmetry in the jaws which the body compensates for as it deposits bone. 23. My nasal airway feels restricted. Would AGGA help? Have you noticed any nasal breathing changes? Try this experiment: first, breath through your nose as you normally would, with your tongue in its ordinary habitual posture (whether that be on the floor of your mouth or perhaps with the tip touching the roof of your mouth, if you’ve been working on your tongue posture). As you do this, be mindful of the volume of air entering your body and how much resistance there is in the throat. Now try the same thing, but this time allow your tongue to come forward through your teeth. Basically, you are trying to clear your tongue out of your airway. With your tongue fully forward, does the volume of air entering increase? Is it meeting less resistance? If so, then your tongue is blocking your airway, and the AGGA would be of benefit to you because it will provide more space for your tongue to come forward (without having to come through your teeth, as it did in our experiment). Michael Jordan was known for sticking out his tongue while playing. Did it improve his breathing? Furthermore, the AGGA does not just grow the maxilla forward. It deposits bone “3 dimensionally" throughout the face. What it means is that all of the bone structures of the face become bigger. So not only will the AGGA improve nasal breathing by providing more space for the tongue: it will improve it by increasing the diameter of the pipes of the airway as well. With regards to this, I cannot say that I really feel it. But this could be because I have never really been hyperaware of having undersized air pipes to begin with (although my pre-treatment cone beam x-ray showed that I had an significantly undersized airway). X-Rays show AGGA increases airway volume. Have any other questions about the AGGA or adult palatal expansion in general? Ask below in the comments section!